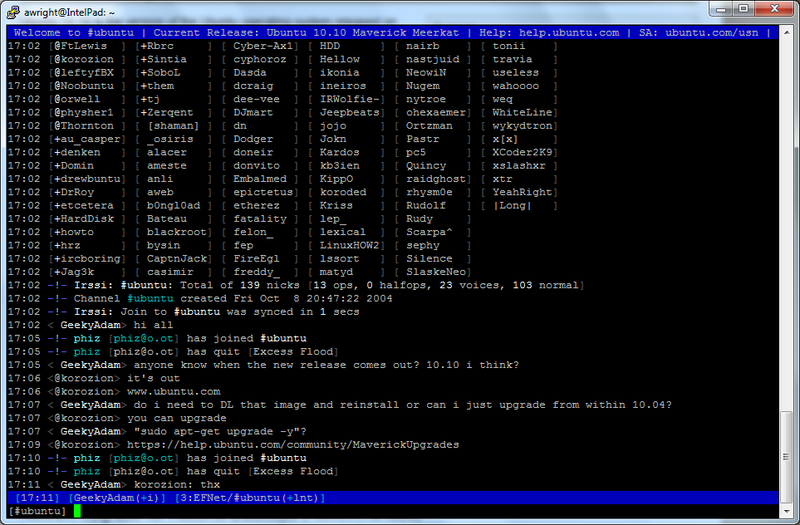 Irssi is a linux IRC chat program which can be used via SSH (since its command-line/terminal based). Here is a nice introduction/tutorial on using Irssi. Simple startup notes: To switch between windows/channels use Alt+left and Alt+right. To switch between servers, switch to the server output window and press Ctrl+x. It’s like using emacs or nano for text editing, because it resides entirely in a command-line/terminal window. 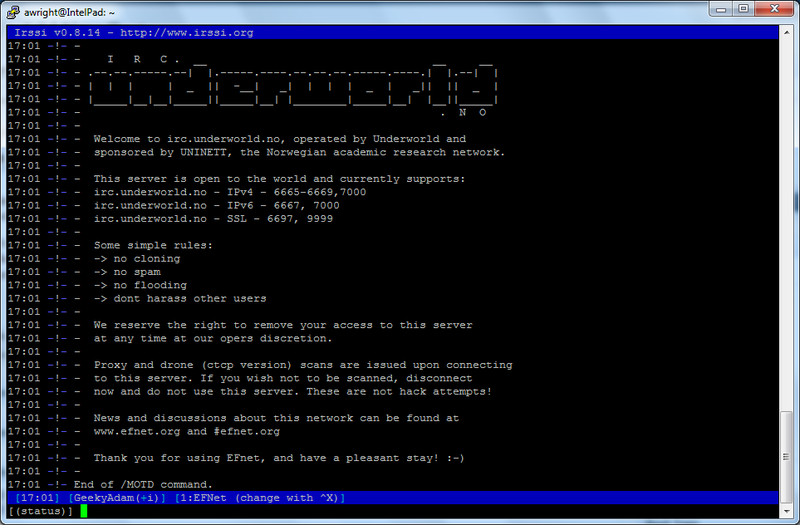 So now whenever I feel like using IRC, I just SSH into the server I installed irssi onto and use IRC there. You’ll never need to install IRC on a machine again, just keep it on a server somewhere then SSH in! Both screenshots were made when I was using Putty within Windows.